CMO & Co-Founder of Good Money. Please join Family Office Insights for this luncheon on Thursday, May 17th at 12PM. If you care to join us, please email admin@familyofficeinsights.com . Family Office Insights sits down with Gunnar Lovelace, Co-Founder of Good Money, to discuss the consumerizing cryptocurrency as the world’s first blockchain platform that provides speed, stability and usability as a viable global competitor to fiat. Good Money is led by 4 world-class cofounders who have each built $billion+ companies, has partnerships that will bring more marketing firepower to crypto to date and has a powerful go-to-market product development strategy. Much like Apple led the personal computing revolution by integrating disparate hardware and software into a simple user experience and brand, Good Money is integrating a full stack with an aspirational brand and product experience to simplify crypto into a mainstream, easy and values-based medium of exchange. Tell us about your background and your company, Good Money. I am a serial entrepreneur focused on business and health as vehicles of change. I am the founder of Thrive Market, which makes healthy living accessible to Americans—targeting millennials—by offering the most popular organic groceries at 25-50% off normal retail prices. Thrive Market has grown to 700 employees with a million users. On a very personal level, I grew up poor with a single mom and saw how she struggled to pay rent and buy groceries, which has been a part of my mission to create solutions around food and money. I’ve been fascinated in cyrptocurrency for a long time and the historic promise it represents. Good Money is focused on consumerizing cryptocurrency by bringing hundreds of millions to the platform globally. We make it easy and simple to use and manage. There is incredible promise and growing demand around this, but there isn’t any platform with the utility to be a competitive solution to fiat. Our purpose with Good Money is to make it simple, beautiful, and easy-to-use with all of your asset classes in one place. Just as Apple revolutionized and scaled computing by making incredibly complex hardware easy-to-use for consumers, and building a well-branded ecosystem off of that is very much our focus. There is a lot of hardware and wallets out there that’s difficult to use and intimidating, but none are dedicated to direct-to-consumer for scale, on a global level, for the millennial demographic. While this demographic has been through the financial crisis and lost trust in financial systems, and are living through political turmoil, they do know that they have the power to choose how they spend their money. We are not competing against other cryptocurrencies, but rather against fiat, in order to make it easy to bring the mass-market consumer to cryptocurrency. At Thrive Market, I brought over 500 influencers, bloggers, celebrities, and publishers in as investors and stakeholders. This is powerful because these influencers are all tech savvy, interested in living in a better life, and being a part of an environment that’s sustainable. For that reason, we have attracted many of the Thrive Market stakeholders to come in as investors for Good Money. It gives us a way to reach millennials, which is something no other cyrptocurrency has to date. Through the promotion of Good Money, we have an army of publishers, nonprofit partners, and influencers that reach over half a million millennials. That’s where we have an unfair competitive advantage of reaching millennials with our marketing firepower from these stakeholders, which is obviously our way in. It comes from understanding and recognizing that content is marketing and marketing is content. When speaking to this target, you have to reach the highly connected and incredibly thoughtful millennials across the globe by being genuine and honest with them—something no other cryptocurrency has done before. It’s about hiring great people and building a culture of performance with positive values. We are all about driving stakeholder culture in our company that’s performance and value-based. We are a business focused on purpose and profit. Like Thrive Market, it will attract great consumers and investors. We were careful in positioning Thrive to run a stakeholder-driven business. At the end of the day, it’s about relationships. Your consumers, partners, and investors are all about building mutually beneficial relational exchanges. The biggest challenge is really around attracting and retaining amazing talent, which I think is the most difficult thing for any business. There is no one else we feel is competing against us. When we started Thrive, investors were skeptical and asked how we would beat Amazon. We have 17,500 5 star reviews for our Apple app, while Amazon has 17,000 3 star reviews. We are focused on mixing technology and brands that consumerize issues. Our focus is to have engineers build a real consumerization, beautification, and simplification platform for the consumer to make this a mainstream movement. At Good Money’s core, we’re easy-to-use and aspirational. We have the expertise and understanding in how to build direct-to-consumer apps to scale, while driving product optimization. We have an intense focus on using data and measurement analysis to make sure we’re driving a differentiated experience so you can optimize that quickly and at scale. Apple’s iconic brand and great ecosystem is in our playbook for crypto so that you can have all your asset classes and token in one place. From there, you can interact with your bank account, as well as, have a Good Money card so you can use your tokens as you wish; there is also the option to direct a portion of profits towards a positive vision for humanity and the planet. We are looking to raise a total of $60M, but given the tremendous amount of demand we’ve had already, we will most likely be oversubscribed. The smallest check size we’ve taken has been $250K, but our preference is for the minimum investment to be from $500K-$1M. We have been self-funding until this point and already have $39M committed, after only having formally shared the deal 2 weeks ago. We’ve only just begun to activate our communities, so we’re excited. We are looking for investors who are excited about the vision, the potential, and want to be a part of this historic opportunity in a global way. One of our co-founders is the founder of Hashgraph, one of the hottest deals in the crypto space now. Although he is leading a larger round for us in the fall for $250M-$500M, we are really focused on looking for the right strategic partners now. Our mission as a business is to transform money and build a new financial system that allows millennial consumers to participate in a value-based system that doesn’t ask them to skimp on usability, but rather, empowers them to be part of a positive future. We are bringing hundreds of millions of millennials to this movement and transforming money so it can be a force of good on the planet. We have a fun community building party coming up on the night of Tuesday, May 15th. Interested individuals from the FOI Community can RSVP here. It’s a very experiential event that gives a sense of how we build community. We believe that if you’re building a movement, then you have to know how to build community. We’ve been hosting a few of these now and it’s been powerful and important methodology towards the goal of growing our community. Broadly speaking, we are building a movement where its brand and platform leverages all the best practices of product development, media buying, brand building, and direct-to-consumer marketing that speaks to the aspirations of the millennials. We can transform money and not ask them to sacrifice anything on their side, but simply participate in the goodness of the system. 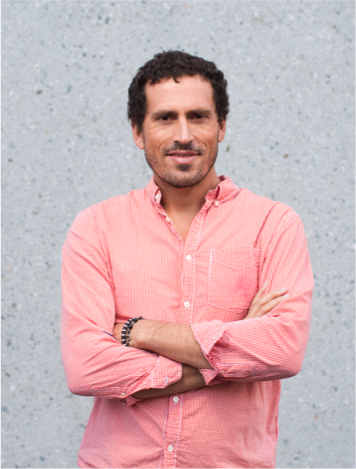 Gunnar Lovelace is a serial entrepreneur focused on business & health as vehicles for social change. He is the original Founder of Thrive Market, which is making healthy living accessible to Americans by providing the most popular organic and non-GMO groceries at 25-50% off normal retail prices. He is also the co-founder and co-owner of Love Heals – a jewelry business in more than 200 high-end retail stores and with over 75 employees. To date, Love Heals has funded the planting of over 1,500,000 trees and sponsored over 50,000 malnourished children. Prior to Love Heals, Gunnar started two technology companies in Los Angeles in software education and natural language processing (both of which were sold). In addition to his for-profit companies he has started two non-profits in education and environmental sustainability. If you have any questions, please contact Gunnar at gunnar@goodmoney.io.